There’s hardly anybody out there in the Grappling Kingdom that doesn’t know what the ADCC is. It is the equivalent of the Olympics for the grappling world. The ADCC or Abu Dhabi Combat Club is the one event all grapplers dream of competing at. Held every couple of years, there are only two ways of getting to the ADCC mats. One is via a direct invitation, which requires you to be a world-class grappler. The second is by winning the continental trials, which take place between events. What people rarely know is how the ADCC works behind the scenes and how the people behind it think. We aim to change that by offering you deep insight into the workings of the ADCC. The man to shed some light is ADCC’s very own, Mo Jassim. Can you please introduce yourself to an audience and tell us what’s your role in upcoming ADCC 2019 and ADCC events, in general? 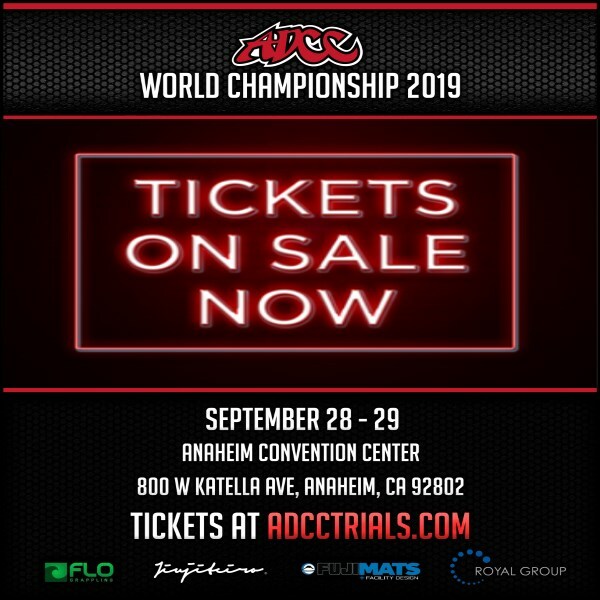 Mo Jassim: My name is Mo Jassim and I will be the head organizer for the ADCC 2019 world championship in Anaheim California September 28 and 29, 2019. 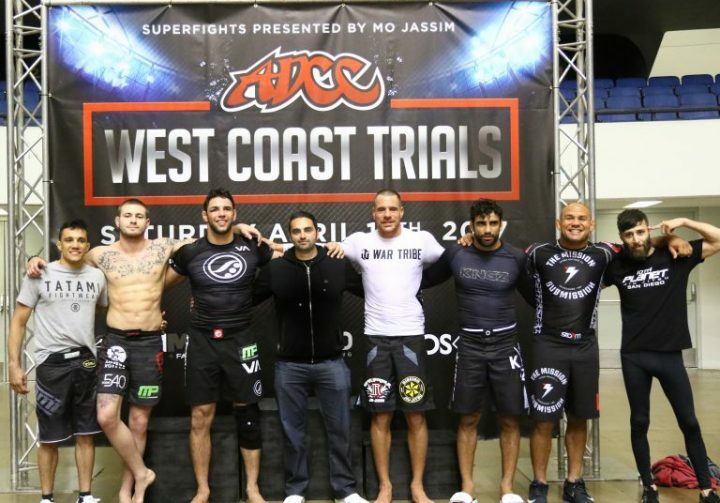 I will also be hosting the ADCC West Coast trials. Could you please tell us more about your role as a promoter for the ADCC as well as how you started working for them and how long ago? Mo Jassim: My role as a promoter for the ADCC is making sure we have the best venue possible, the fighters have everything they need to perform their best and to make sure the show is an entertaining experience for the fans coming to watch live. As far as how I got started with ADCC, I first attended in 2000 when the event was held in Abu Dhabi and have been in love with it ever since. I’ve had the pleasure of meeting and now working with our senior members, Petar Baltalyski and George Delchev. Since then I officially started helping them in 2007, and I haven’t missed an event since. Could you please tell us a bit about your martial arts background? Mo Jassim: Also please let us know how and when you started training BJJ, your gym affiliation as well as rank. It wasn’t until 2003 that I found Rickson Gracie’s academy in Los Angeles, California and I have been hooked on Brazilian Jiu-Jitsu ever since. After moving to Orange County a few months later I continued training at a Cleber Luciano affiliate and was awarded my blue belt in 2005. Since then, I’ve been flying back & forth between Abu Dhabi and the United States, when I was awarded my purple belt by JT Torres in December of 2015. I also supplement my Jiu-Jitsu training with wrestling and boxing with veteran ADCC Judge and MMA coach, George Delchev for the past 6 years. While I’m in California I continue training boxing with Dustin Gonzalez of Wildcard Boxing. Speaking of BJJ training do you still train actively? Furthermore, have you ever given the competition a try? Mo Jassim: Aside from private lessons, I like to host BJJ camps at my house every couple of months, where I invite some of the top guys to come and cross train in Southern California. Aside from that, I live close to Romulo Barral’s Northridge academy where I hope to be training more regularly in the near future. Could you share some of the latest developments on the upcoming ADCC trials as well as the ADCC 2019 main event? The first trial event will be October 6th in Bucharest, Romania, and the rest will follow. So far we have confirmed. – 1st North American Trial: Bayville, New Jersey, November 3rd. – 1st Asian Trial: Kazakhstan, December 8th. – 2nd North American Trial: Burbank, CA at the Muscle Pharm HQ on Feb 9th. The rest are still being organized and we will be sure to update as they are added. Who, in your expert opinion, is the best No-Gi grappler of today? Mo Jassim: I believe Marcus “Buchecha” Almeida, Gordon Ryan, Felipe Pena, and Andre Galvao are the top No-Gi grapplers right now. What Andre Galvao has accomplished in ADCC is unprecedented and nothing short of amazing, but he isn’t competing as regularly as the other 3 guys. With recent wins over Gordon Ryan and Buchecha, I believe Felipe Pena is undoubtedly the best No-Gi grappler in the world right now. Last time out, Gordon Ryan did great at the ADCC, winning his division and claiming silver in the absolute. He is now looking to compete more in the GI. What do you think of his chances in the Gi under IBJJF rules? Mo Jassim: I know Gordan Ryan very well and I wasn’t surprised in the slightest when he did as well as he did, and I also think he had the best ADCC debut ever. There are many people who transitioned from the GI to no GI, but I think this is the first time an elite level no Gi grappler is going to the Gi scene, so I am very interested to see what happens. Personally, I think he will become a high-level Gi grappler but I think it will be very long and hard road for him to become a world champion. Taking away his heel hooks and having to learn the gripping sequences in the GI against guys who have been doing it over 10 years is no small task but with Gordon’s talent and work ethic, I wouldn’t put it past him. What was the most interesting match you’ve seen in ADCC so far? Jiu-Jitsu seems to change and shift more often and faster than before. Do you like the where the evolution of BJJ is heading? Mo Jassim: I like the direction BJJ is taking in terms of going for submissions, the evolution of leg locks and the overall advancements of the sport, but I do feel the new generation of BJJ competitors aren’t as well rounded as the previous generations. When you look at guys like Marcelo Garcia, Jacare, Roger, Galvao they could all play guard, have strong passing games and had good wrestling or judo skills. Many competitors now focus on one or two aspects of BJJ and train those areas extensively while neglecting the other aspects in my opinion. If there’s something you could change in the ADCC, be it rules, competition format, weight classes, organization, promotion, what would it be? Mo Jassim: I would get rid of the Sunday weigh in for ADCC. I feel it’s unfair for the fighters who compete on Sunday and enter the absolute since they must cut weight and the fighters who lost Saturday do not have to cut weight to enter the absolute. Someone suggested to have all absolute competitors cut weight but that isn’t possible since we don’t know who will be in the absolute until 30 mins before we start the matches. Another thing to consider is that there is an 11 KG difference between the ADCC divisions and there are many competitors who are too small for the division above, so they are forced to cut a lot of weight. If we can’t get rid of the Sunday weigh in I would give a 5 KG allowance at least on Sunday so the fighters can be hydrated and give their best performance. What is the one event that you think was the best ADCC event so far, including the Trials? Mo Jassim: They each have something that makes them special and exciting, but for me personally, ADCC 2005 is one of the best of all time. Roger Gracie won all 8 matches by submission (Cacareco quit before the second OT) with subs over Jacare, Xande, Werdum, Shinya Aoki, Eduardo Telles. ADCC 2005 also had the legendary Marcelo Garcia vs Ricco Rodriguez match along with many high-level MMA competitors such as GSP, Diego Sanchez, Gilbert Melendez, Uriah Faber, Jake Shields, Frank Trigg, and Dennis Hallman. Our most recent in Finland certainly held up to the level of expectation, and now 2019 being back in the United States since 2007 will make for another spectacular event. Anything you’d like to share with all us ADCC fans out here in the Grappling Kingdom? Mo Jassim: Get ready for an exciting year of grappling ahead, and watch be sure to keep an eye out for the new up & comers in our ADCC trial events. A huge thanks to Mo Jassim for answering all our questions! The ADCC trials are taking place soon, as you can see. So, pack your shorts and rashguard and start practicing those heel hooks!